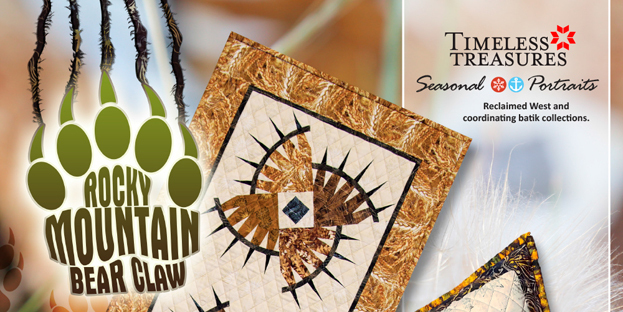 The Rocky Mountain Bear Claw Table Runner and Pillows utilize a squared up version of one of our newest blocks, a viscous, bright grizzly bear claw featured in the Rocky Mountain Bear Claw quilt pattern (also available for purchase through Quiltworx.com). 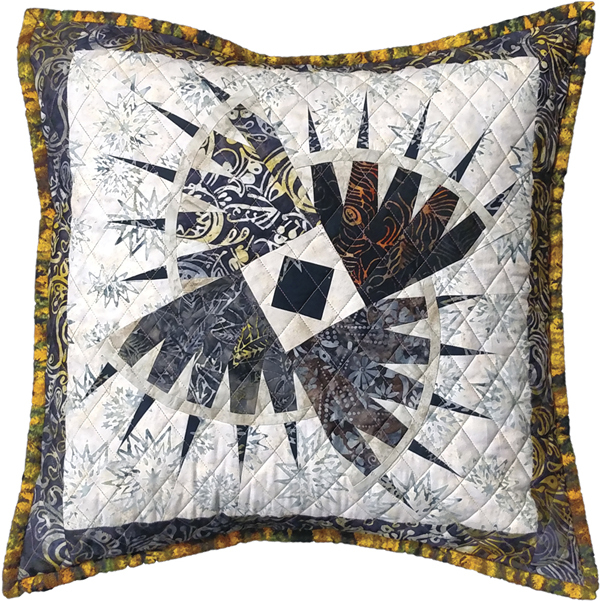 This pattern was designed by Judy and Bradley Niemeyer and uses fabrics from Judy and Judel’s recent fabric lines, Seasonal Portraits, Reclaimed West, and the Painter’s Palette Batik Collection. 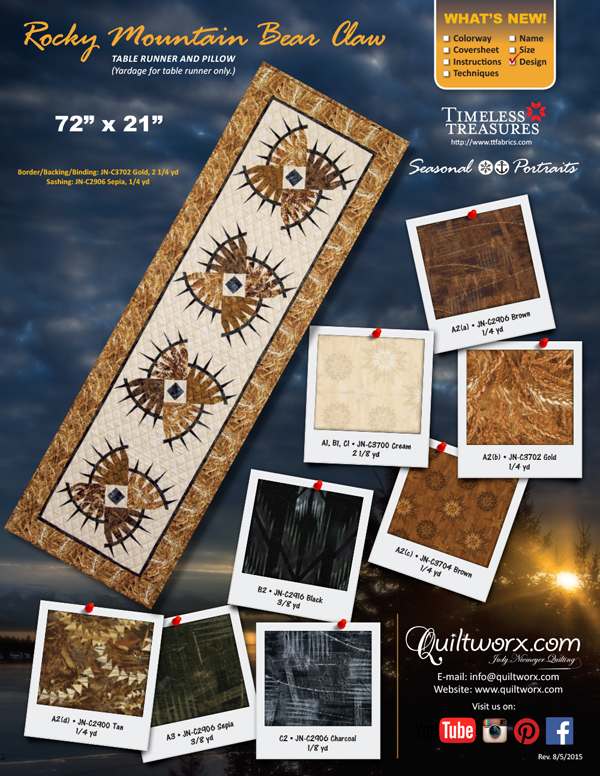 With warm, rich browns, golds, and beiges, this little table runner LOOKS like a Chocolate Bear Claw. 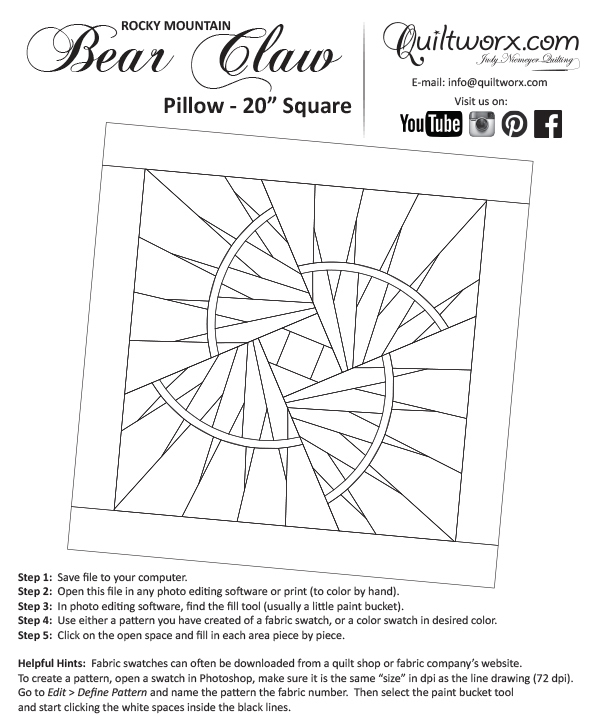 And, the pillows make a perfect accent to create an entire rustic room full of quilts, runners and accent pieces! 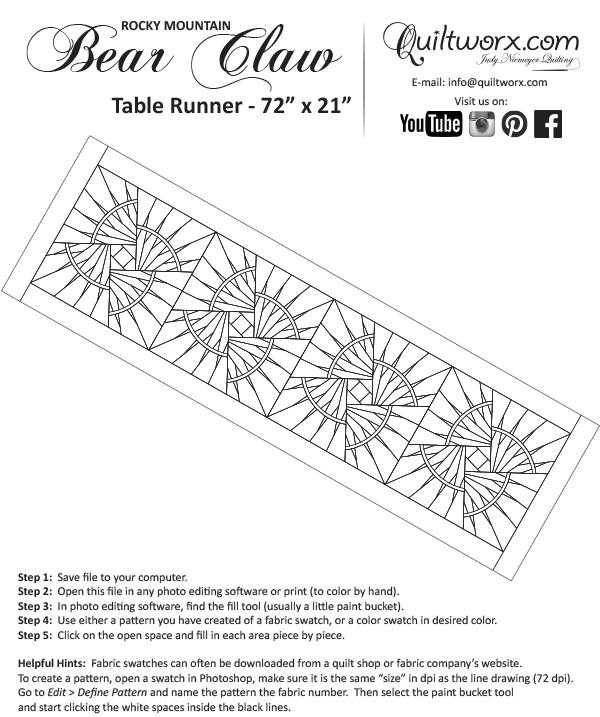 The original coversheet notes that the pattern will make EITHER a Table Runner or 4 pillows, however, with a redesign of the newsprint immediately before final publication, we are excited that we now have included enough papers to make 1 Table Runner AND 2 pillows! 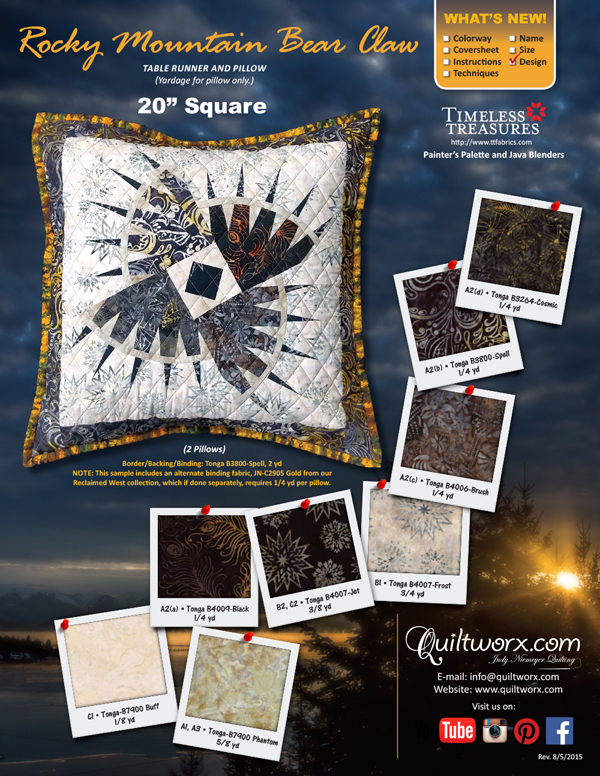 Yardage and extra templates are available if you don’t want to make these at the same time or plan to use two different color palettes. 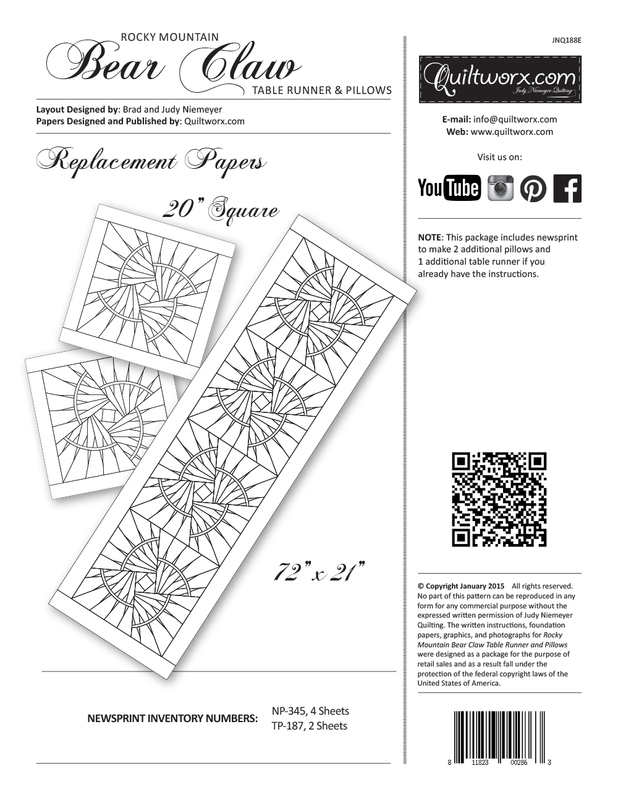 Related products include replacement papers, the original quilt pattern and a digitized quilting design (coming soon!). Lonnie Drahos I love it! Carol Hall Suzanne Conine Puffer, i like yours better! !